Having to update 20 tickets individually is no fun, and not forgetting time consuming. 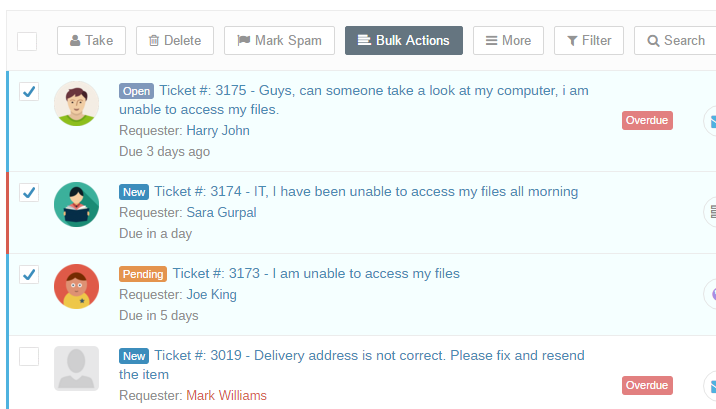 With Trakdesk bulk ticket actions in place, you can amazingly update multiple tickets with just a single click. Select the tickets that you would like to perform the bulk actions on. Click on the Bulk Action button option. 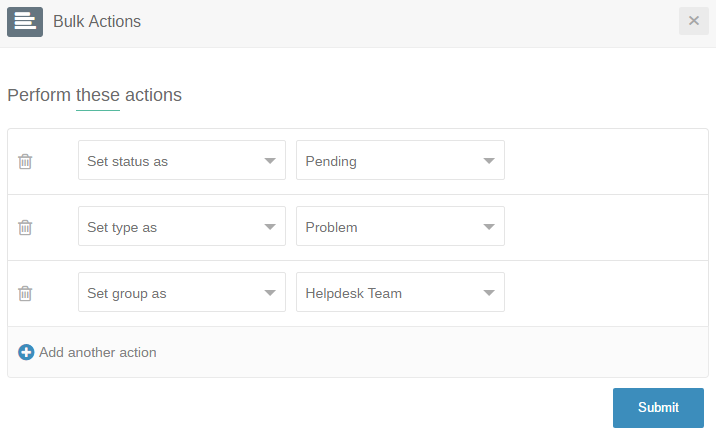 Once the popup modal has opened, add the actions that you would like to perform and click on the Submit button to execute the actions. Note: Bulk actions will execute based on your access rights and permissions. Without sufficient permissions, you may not be able to update tickets that are currently locked by other agents. Also, child tickets cannot be updated.